20 Watts PEP, 30 - 512 MHz, Tx/Rx Booster Amplifier Kit with LNA. Kit includes amp, cables, pouches & LOS antenna. 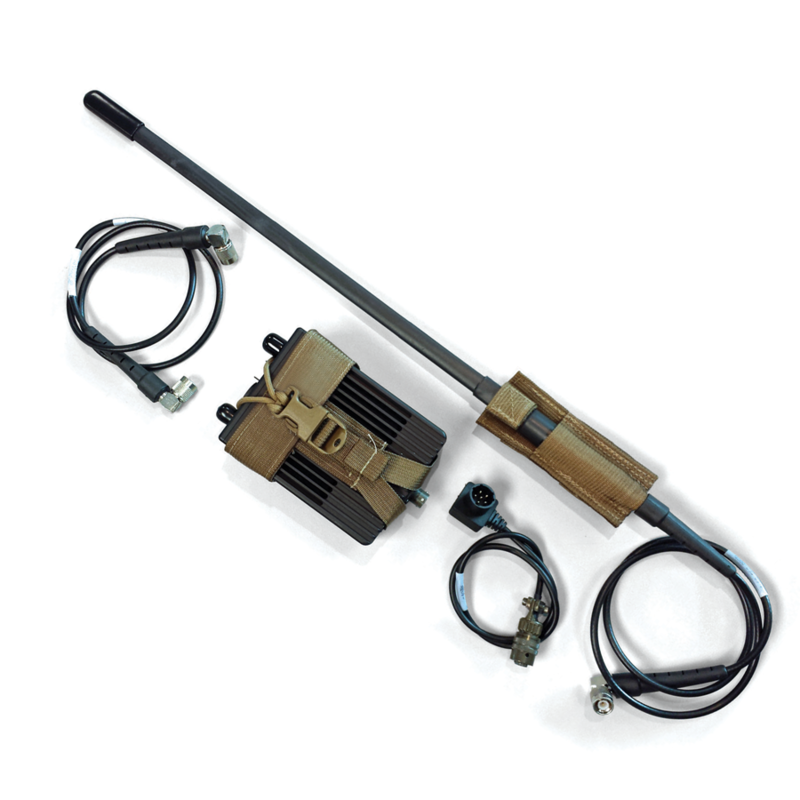 The Model AR-20 is a portable, lightweight, fully automatic band-switching RF booster amplifier for multi-band VHF/UHF Tactical Radio equipment employing legacy, proprietary and emerging waveforms. The AR-20 produces 20 Watts from a 1 to 2 Watts PEP radio input and covers the frequency band of 30-512 MHz. The unit has multiple input DC voltage options including operation from a single battery (XX90 battery) or 12 and 28 VDC vehicle power source. The unit is designed for use with the latest modern networking formats like ANW2, WNW and SRW. It also includes Voltage Spike Suppression, Over Temperature Protection, RF sensing, T/R Switching, Automatic Level Control (ALC), Harmonic Filters, Co-Site filters and protection against antenna mismatch. The AR-20 also has a built-in internal LNA that can be switched on or off by the front panel switch to improve SATCOM receive performance. The amplifier is comprised of rugged 3-piece aluminum case. Optional interface coaxial cables, DC battery cables, and kits are available.